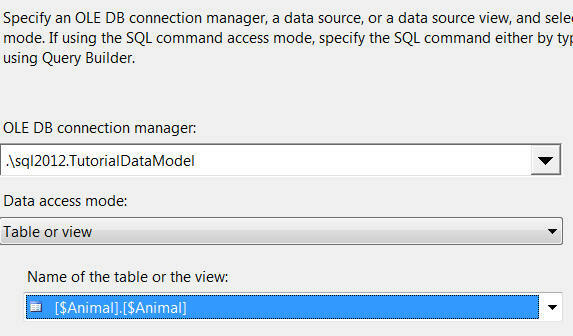 This page shows how to import data using SQL Server Integration Services (SSIS) and DAX queries. 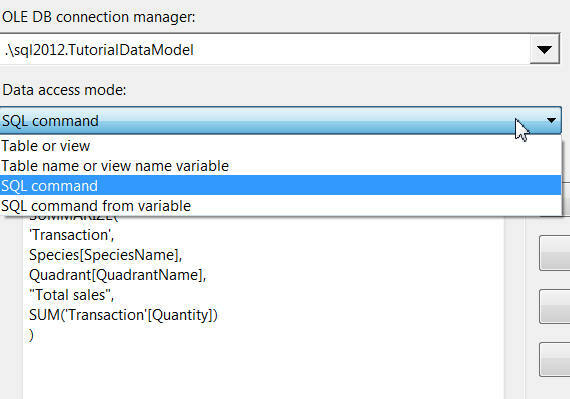 As for SSRS, this page assumes a good level of familiarity with SSIS. If you're a newbie, you could follow my YouTube tutorial or enrol on our two-day introduction to SSIS course. 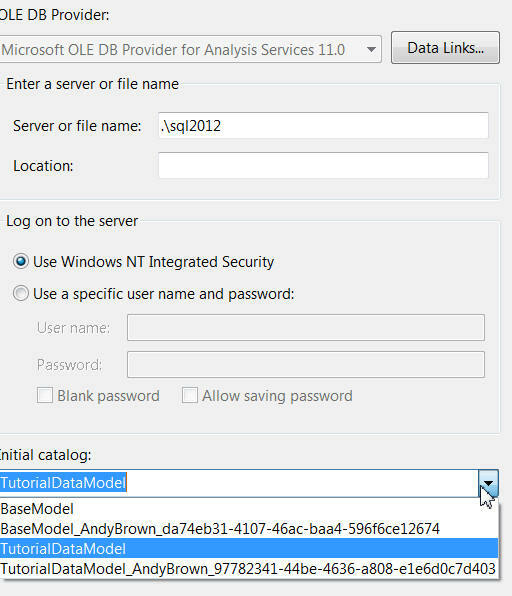 Add an OLEDB data source into a new data flow task within a new package. Click on this button when editing the source to add a connection. Click on this button at the bottom right of the dialog box which appears, to add a new connection. 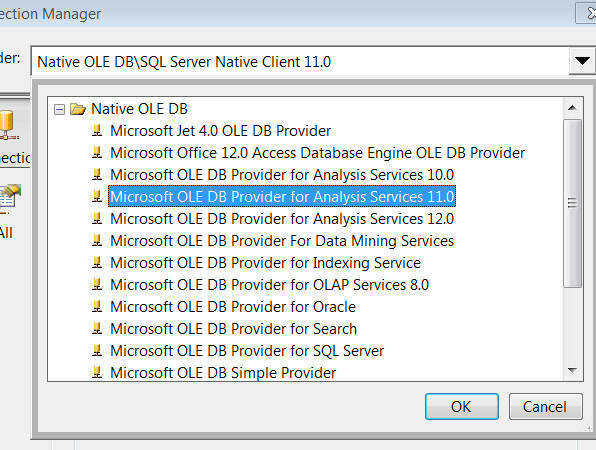 I've got SQL Server 2014 on my laptop, but I've chosen the provider for Analysis Services 11.0, which is the internal name for SQL Server 2012. Type in the Analysis Services server name (yours will be different). The Location seems irrelevant for our purposes! 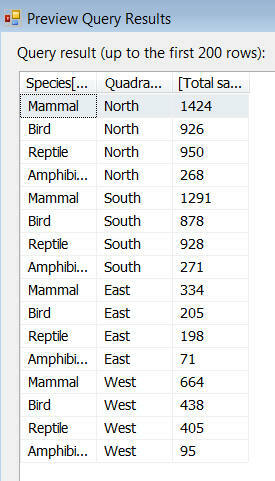 Choose a tabular model from the drop list, ignoring the odd Initial catalog label to the left of it. You've created a connection; time now to choose how you want to use it. Choose SQL command, and type or paste in the query. You can parse this query to check you've got the syntax right. 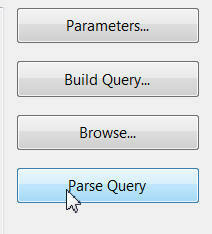 Click Preview... ... to run the DAX query. 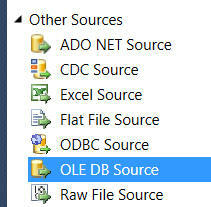 Time now to move from using DAX in SQL Server to retrieving data into Excel.